Secrets of a SigInt Wac Draft 4 Completed! After my cousin, Karen read the 2nd draft of a book I am writing based on my mother’s service in the Southwest Pacific during WWII, she said, “You will have at least 7 drafts, Barbara Sue.” Deflated I didn’t think I would finish a 3rd. But today, I completed draft 4 including a major rewrite of Part One and minor rewrites with some editing of the other 3 parts. 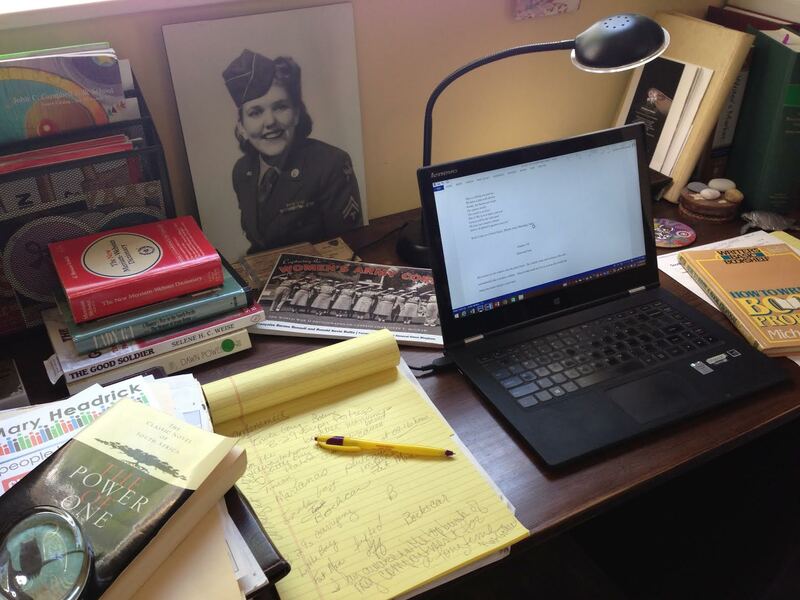 I feel I may be ready to query in hopes of finding a literary agent, editor or publisher to help me tell this fascinating unknown story of code breaking WACS of the Greatest Generation. This entry was posted in Uncategorized and tagged Cryptology, historical novel, literary agent, Military, military book, Pacific, publishing, Signal Intelligence, SWPA, WAC, Women History, WWII. Bookmark the permalink.